New Delhi Nov 22 (IANS) India on Wednesday successfully flight-tested the air variant of BrahMos supersonic cruise missile from a Sukhoi SU-30MKI fighter jet to hit a sea-based target in the Bay of Bengal completing the country s tactical cruise missile triad. 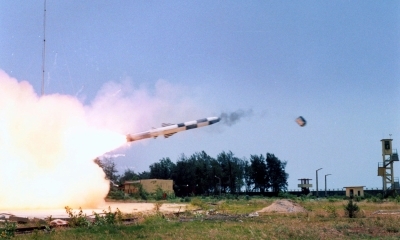 This was the first test of the missile s air version against a target. The heavyweight missile integrated with the long-range fighter is seen as a force multiplier for the Indian Air Force. 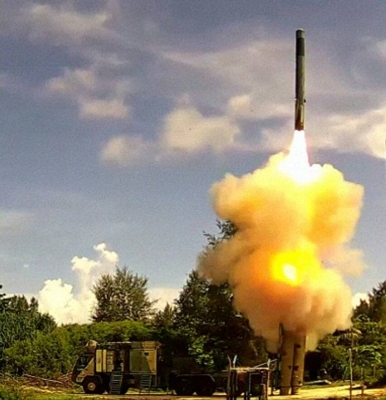 BrahMos the world s "fastest supersonic cruise missile with a multi-platform multi-mission role is now capable of being launched from land sea and air " a Defence Ministry statement said here. "BrahMos created history on November 22 after it was successfully flight-tested for the first time from the IAF frontline fighter aircraft Sukhoi-30MKI against a sea-based target in the Bay of Bengal " the statement said. After being gravity dropped from the Su-30 the two-stage missile s engine fired up and straightway propelled it toward the intended target. 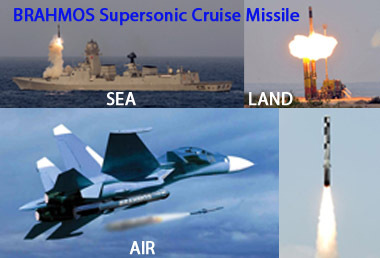 "The successful maiden test-firing of BrahMos Air Launched Cruise Missile (ALCM) from Su-30MKI will significantly bolster the IAF s air combat capability from stand-off ranges. 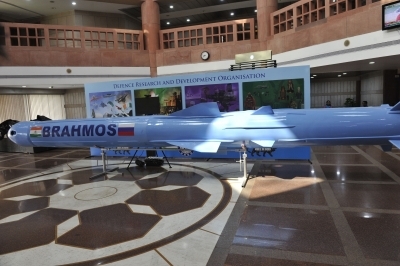 "BrahMos ALCM weighing 2.5 tonnes is the heaviest weapon to be deployed on India s Su-30 aircraft modified by Hindustan Aeronautical Ltd to carry weapons " the statement said.